This is the second of a series of pieces about the mezcal scene in Durango by Tess Rose Lampert. Be sure to check out her first overview piece here. There is no denying Oaxaca’s unique magic, especially when it intertwines with the local mezcal traditions. 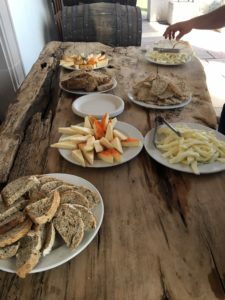 It is fantastic that people are so eager to discover the culture that is intimately linked with the mezcal they are drinking–after all, most of the mezcal in the United States comes from Oaxaca. On the other hand it runs the risk of giving a false sense of expertise to people who have just begun to scratch the surface of the world of Mezcal. A deep love and even knowledge of Oaxacan mezcal shouldn’t eclipse the importance of distinct traditions of other regions, in fact it is precisely because Oaxaca is so special in it’s uniqueness that we should seek out and ultimately honor what makes other regions unique. 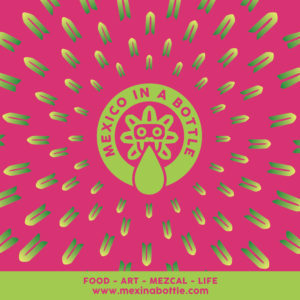 Just like distinct wine regions of Europe, different states of Mexico have different mezcal traditions–visiting Bordeaux a handful of times would hardly make someone an expert on wine in general. 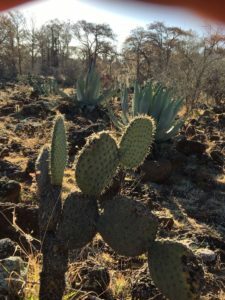 As more mezcal from regions outside of Oaxaca start to hit the market, and agave spirit education grows exponentially, it will be important to acknowledge these differences. 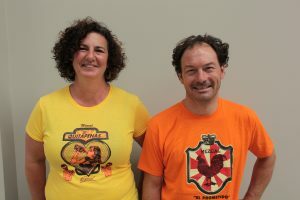 This post is about uncovering and respecting a few of the customs in Durango. Going a step deeper, there are also characteristics of mezcal production distinct to Durango. Forestry is a big industry in Durango, and it is also a naturally more wooded area than Oaxaca, all of which influence the wood used for building the ovens. With the exception of extremely remote areas, all producers must obtain permits granted by the ministry of agriculture and rural development, called ‘guias’, otherwise they are not permitted to use any kind of wood. This is an effort to protect the natural resources as the mezcal industry grows. There are a few types of wood that are commonly used, depending on the region, and some types can be purchased from companies clearing woods to develop infrastructure like roads, furthering a sustainable and symbiotic relationship between community and environment. Encino, a type of oak, is a particularly good variety of wood if producers can get their hands on it because it burns slowly and releases a steady heat. Mezquite is another common variety that burns faster and releases a lot of smoke, which influences the strength of smokiness in the resulting mezcal. 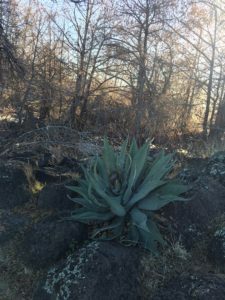 A more pronounced difference in production is the absence of a tahona, the big stone wheel drawn around a stone pit by a beast of burden, like a mill, to crush cooked agave. In Oaxaca this is very traditional, though there are still plenty of palenques where they are hand crushing. I remember visiting a producer in Sola De Vega when they were just starting out and seeing the men crush by hand underneath the sun. I tried it for 5 minutes or so at palenque, the surprisingly heavy bat had already started to blister my hands; a couple of my companions who stuck it out for longer ended up with bloody hands. 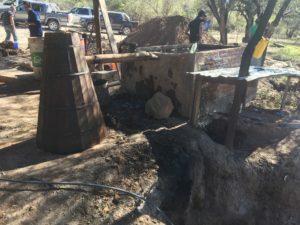 Hand crushing is the traditional method in Durango, though some brands are investing in machines to save their employees from the back breaking labor. Only two brands in Durango use a tahona, one of which has a maestro mezcalero from Oaxaca; the other brand that uses a tahona is a close family friend of the team behind Origen Raiz and also combines Oaxacan tradition with their own. 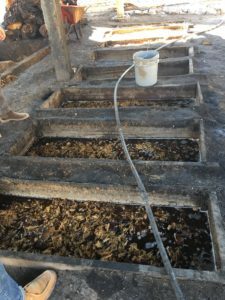 The fermentation tanks found in Durango are also markedly different. 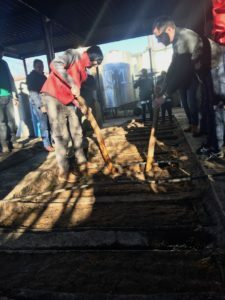 Rather than large overground wooden tinas, fermentation tanks are small in-ground boxes, usually insulated from the ground with mud or clay and then lined with wood to contain the fermenting mash. 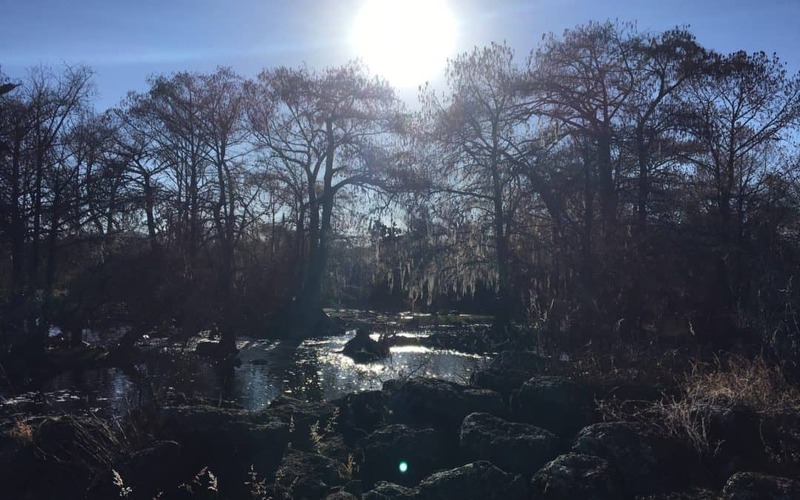 Being under ground is a natural way of stabilizing temperature and protecting the contents from the elements while still being exposed to oxygen. The fact that there are other thriving industries in Durango relates to the world of mezcal. While the tradition of making mezcal stretches back for generations, in many ways, the world of marketable mezcal is a relatively new one for Durango. It is more common to find first generation distillers and vinatas that have been newly constructed within the last decade or so. The success of other industries of the region also means that otherwise successful families are able to invest in producing mezcal without the financial pressures that many producers face in Oaxaca. Being able to spare no expense when building a production facility as well as branding, marketing, and projecting for future sustainability is significant. Add to this the growing popularity of mezcal internationally, this region is hitting the market while it is hot. Durango producers and brand owners are able to learn from the last decade of mezcal sales and promotion as they emerge onto the existing market. All of this is a recipe for success, almost exponentially so. Of course, the other side of this is the unique set of challenges, like difficulty in getting personnel from the CRM to come certify the spirits, as well as less visibility overall. Read more about these unique challenges here. All of these differences just begin to scratch the surface of what is a unique and rich mezcal culture that is waiting to be explored. As more mezcal from Durango comes into the United States we will be delving into more focused studies on what makes the region unique, like the characteristic variety of agave, Cenizo Durangensis, which opens a whole other can of worms in terms of biodiversity and sustainability. 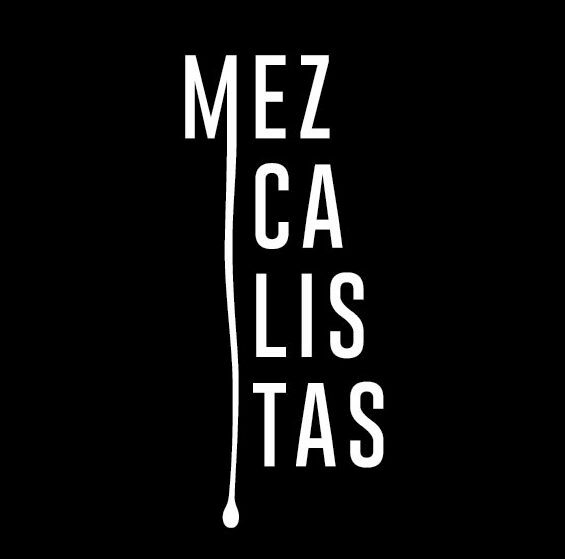 In a broad sense, my hope is that learning about these differences will encourage people to keep an open mind while actively exploring other mezcal producing regions. That was very interesting, thank you!